In the "Megans Baptism" picture it looks like Aubrey in the front row on the left holding a white shawl. Presumably the lady next to him is his wife Margaret Amelia who he married in 1914. Aubrey's step father is in the top right corner, and his (Aubrey's) mother is the 2nd lady from the right on the top row. I would guess the lady in the large hat between his mother and step father would be his step father's mother. 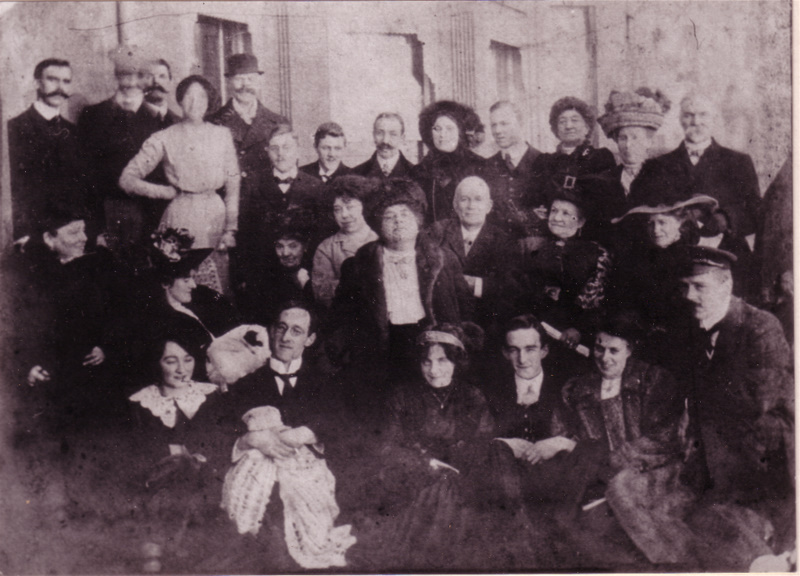 This picure seems to have been taken at Irene Megan Davies' christening in 1920.